Each year the Office for National Statistics (ONS) publish mid-year population estimates. They are the government’s official population estimates and are used locally by the council and its partners for a wide range of purposes. 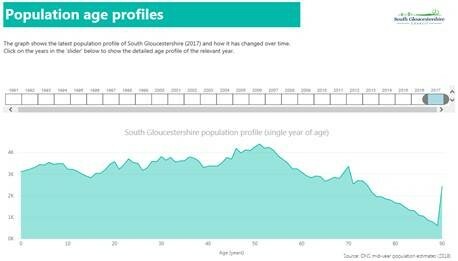 The population of South Gloucestershire for mid-2017 (published on 28 June 2018) is estimated to be 279,000. A briefing note about the mid-2017 estimates for South Gloucestershire is available alongside. Additionally, the interactive report below enables you to explore the data for South Gloucestershire and the wider West of England region. 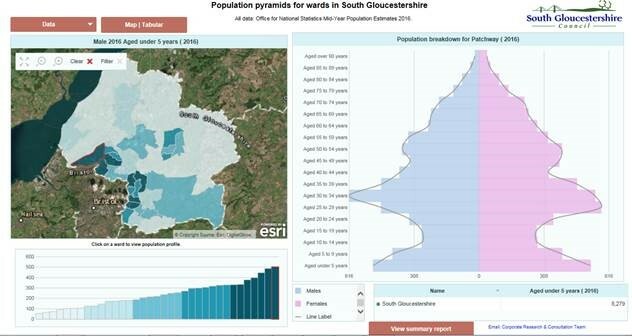 Population estimates for small areas in South Gloucestershire are published by the Office for National Statistics (ONS). A briefing note about the 2016 population estimates (the latest available data) for the 35 wards in South Gloucestershire is available alongside. In May 2014 the ONS published the 2012 based sub-national population projections for local authorities in England, which give an indication of future trends in population for the 25 year period from 2012-2033. This information is available alongside. If you have any further enquiries regarding population estimates for South Gloucestershire, please contact us.